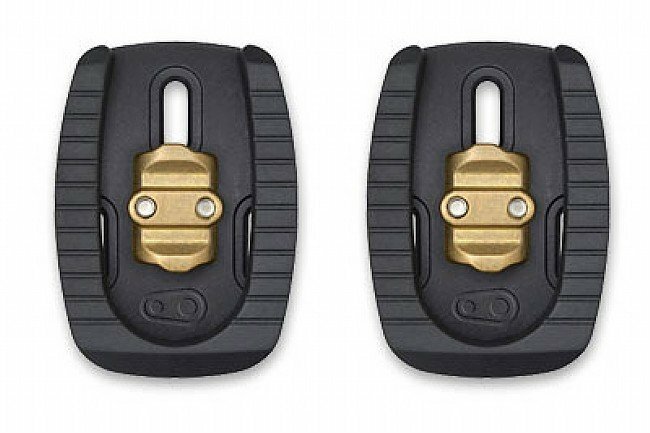 Replacement Crank Brothers brass cleats for shoes with a 3-hole bolt pattern. Composite outer body protects cleat from premature wear. Compatible with quattro, eggbeater, and candy. 15 or 20 degree release angle. 6 degree float. 86g/pr. I love dealing with this company. I needed this set of cleats so that I could use my road shoes on my cross bike for summer training. Bike Tires Direct had them at a great price. They work perfectly for me. Now I don't have to worry about wearing out my cross shoes when I'm training on the road.